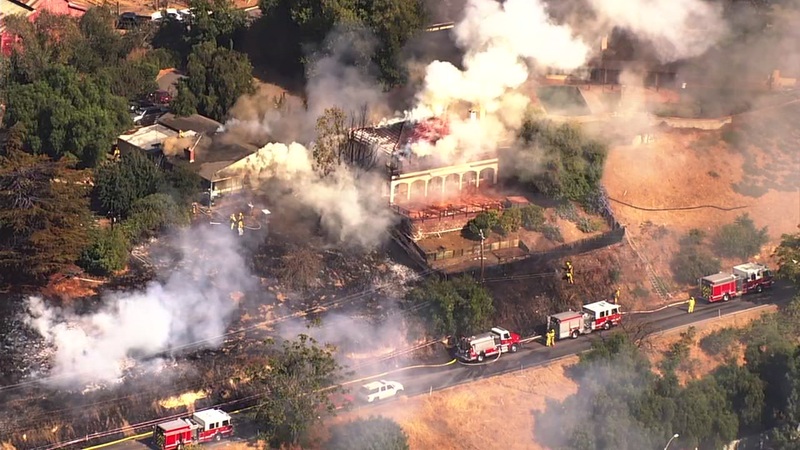 EAST SAN JOSE, Calif. -- A fire moved quickly and damaged at least two homes in the hills above East San Jose Sunday afternoon. The fire broke out right off Mount Hamilton Road. Firefighters surrounded the homes while people tried to use water from a swimming pool to wet down a nearby house and protect it from the flames. Investigators are looking for what sparked the fire.